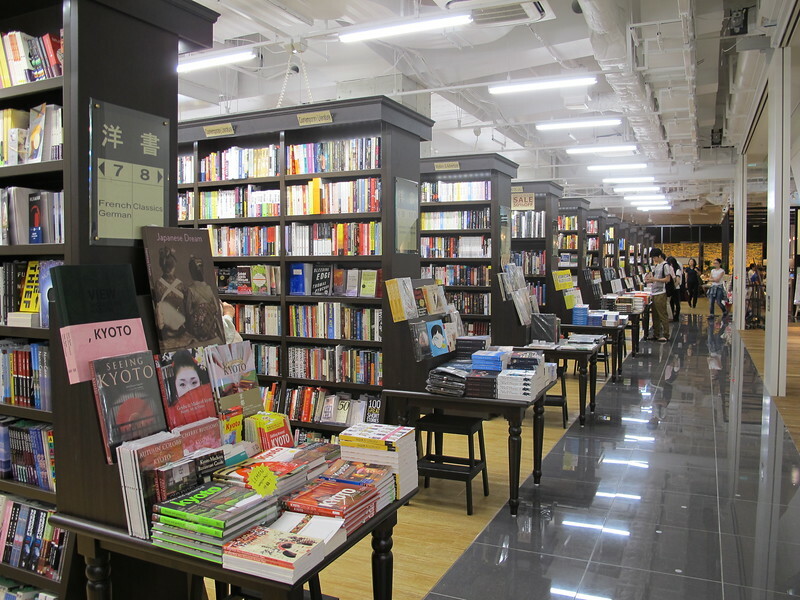 After a 10-year interval Kyoto’s best bookstore, Maruzen Books has returned! 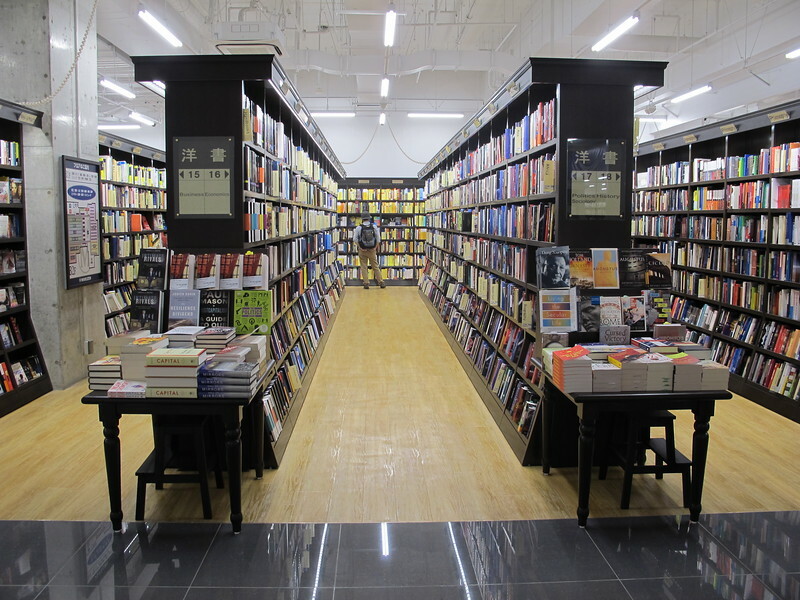 Our resident bookworm, Michael Lambe, went to take a look at the new premises and see if the new store matches up to its legendary past. A very welcome piece of local news this past summer was that Maruzen Bookstore was returning to Kyoto. Unfortunately I missed the historic reopening on August 21st. However, I was eager to see what the new store was like and so recently paid my first visit. What’s the big deal about a bookstore? 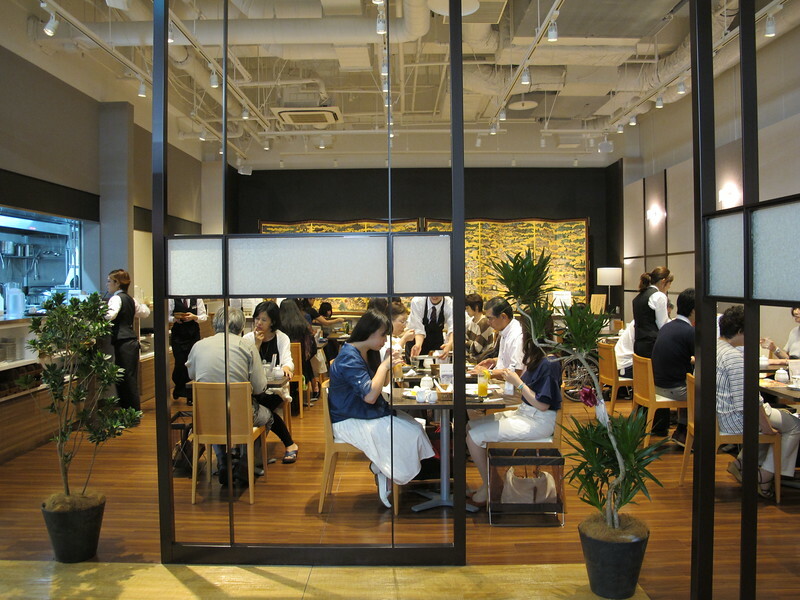 Maruzen’s Kyoto branch wasn’t just any old bookstore. It had a long history in this town, the first branch opening in 1872, and held a very special place in people’s hearts. And the old bookstore that closed in 2005 was huge. 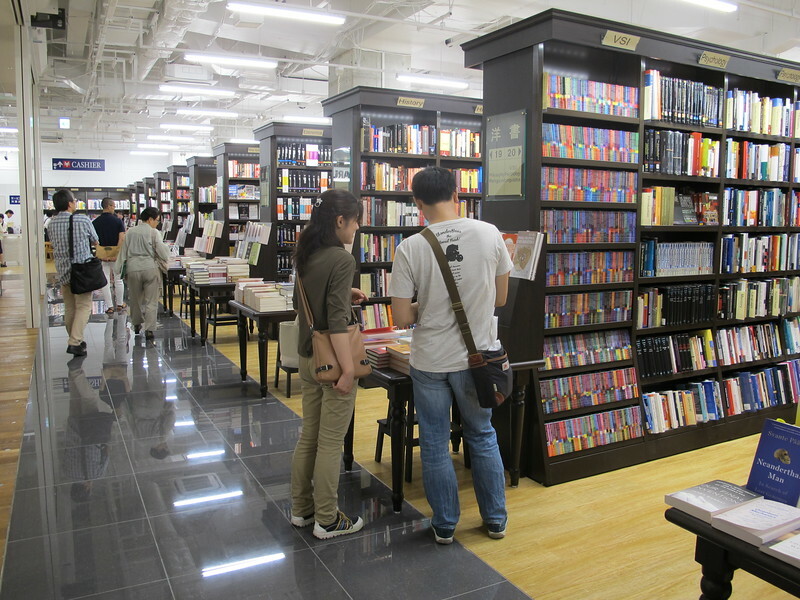 It occupied an entire building, with one entire floor dedicated to English language books. Everybody loved Maruzen. 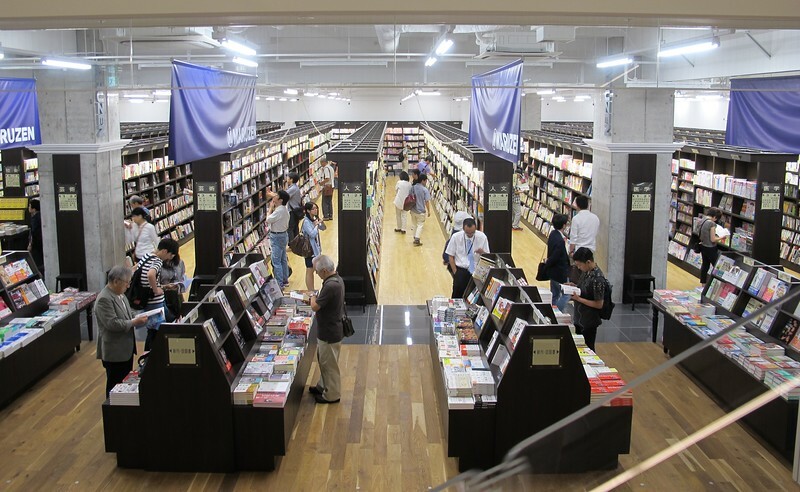 It was a great place for book browsing and it was a really sad day for Kyoto when it closed. To add insult to injury the old building became a karaoke emporium. Not that I dislike karaoke – but really, does Kyoto need any more karaoke emporiums? But wait. If everyone loved it so much, how come it closed down? I think the old Maruzen failed to move with the times. The book trade in general was and still is going through massive changes. Bookstores around the world are having a hard time adapting to a market dominated by Amazon’s online services, and of course a lot of business is being lost to e-books. However, the old Maruzen didn’t seem to want to change. Their English language section had shelf after shelf stocked with extremely academic works that they couldn’t possibly sell. That’s great for a library, but for a business, not so good. OK. So how does the new branch measure up? Well, the new branch occupies two basement floors in the newly reopened BAL department store. 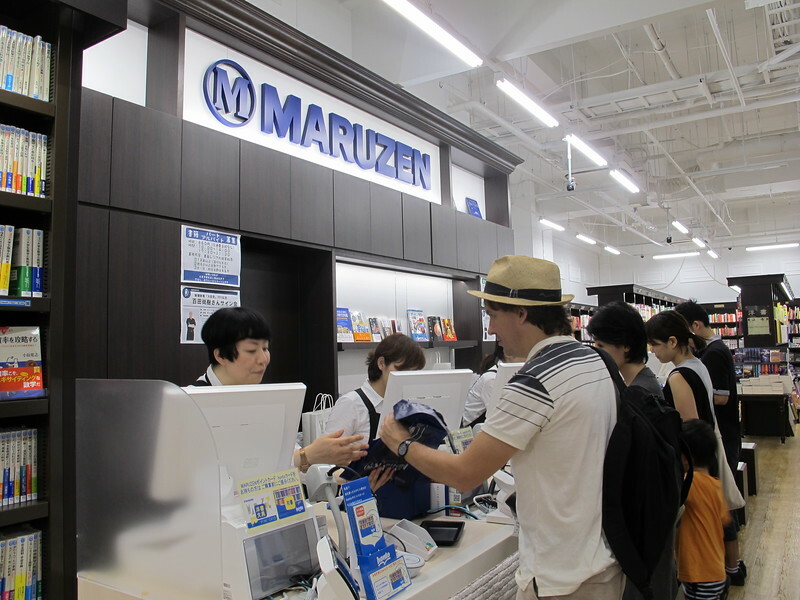 It’s a joint enterprise between the Maruzen company, and the popular bookstore chain Junkudo. Junkudo has the necessary business savvy, but I was a little worried that might translate into just another clone of the usual Junkudo model, with a small and uninspiring English language section. I couldn’t have been more wrong. Go down to the second basement and you will find shelf after shelf of English language books in all subjects: politics, literature, philosophy, art, science – everything! It isn’t overly academic, but there’s plenty there to keep you intellectually stimulated. To be completely frank when I first laid eyes on all those books – I felt quite moved. Maruzen is back! What’s with all the lemons? Ah, yes well, there’s a story behind that. Back in 1924, the writer Motojiro Kaji published a popular short story called “Lemon” which featured the old Kyoto Maruzen store. The aesthete who narrates this curious tale, used to enjoy perusing the varied goods on sale in Maruzen. It was his favorite place. But now he is haunted by a profound ennui, and sees only “books, students, accounts; these all seemed to me like the ghost of debt collectors…” The story culminates with him recovering his old enthusiasm by spontaneously creating his own piece of art in the shop out of a huge pile art books – and a lemon. 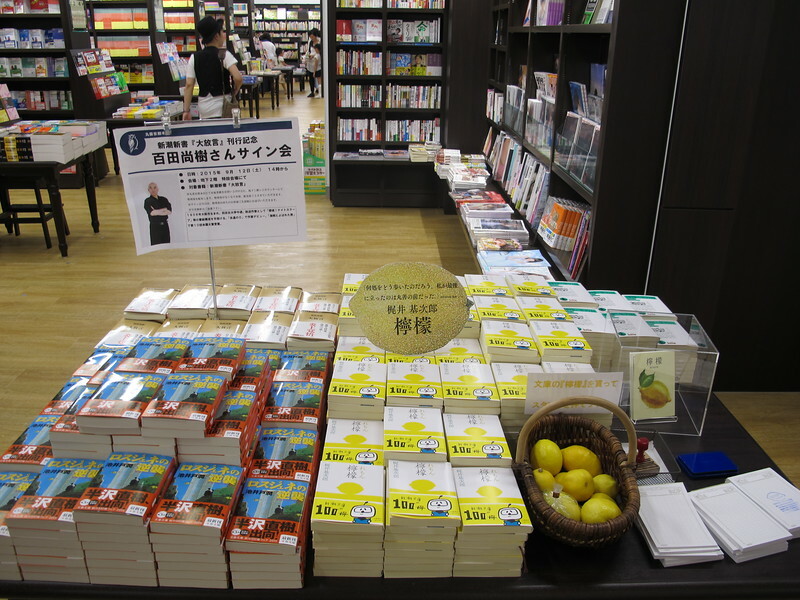 It really is a delightful tale (you can read it online in English and it inspired countless fans to leave their own lemons on Maruzen’s bookshelves before the old shop closed. Now that Maruzen is back they are clearly keen to celebrate this literary connection. 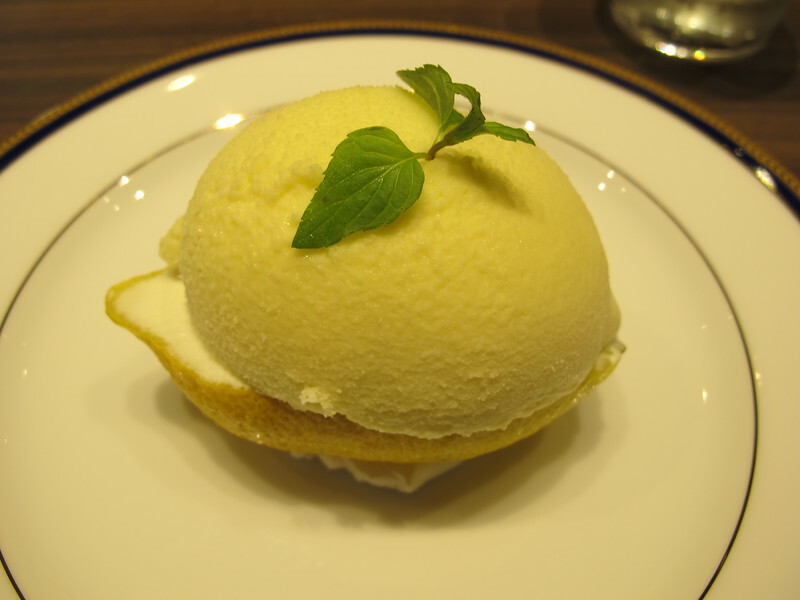 You will find piles of the “Lemon” short story collection on prominent display, and there is even a special lemon cake on sale in the new Maruzen Café. You do recommend the bookstore though? Oh, quite definitely. In a bold move they have dedicated 27 book racks completely to foreign language books. Mostly English of course, but there are two small French and German language sections as well. Of course ordering books online is convenient, but there really is nothing like the chance discoveries that come from browsing well-stocked shelves. 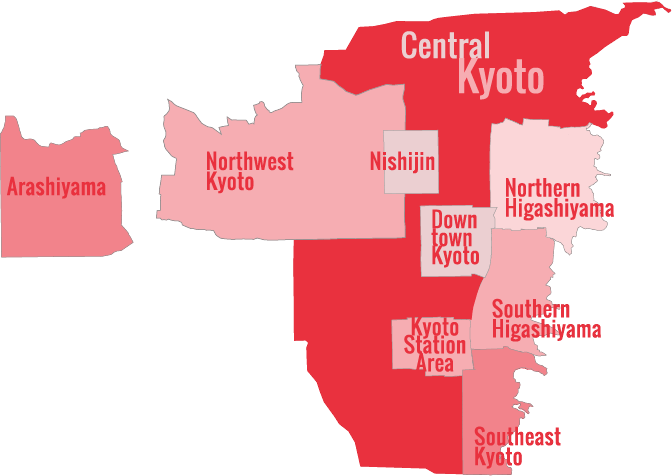 If you are a visitor to Kyoto you are bound to find a nice souvenir volume on Kyoto or on Japanese arts and culture. If you live locally, and Maruzen doesn’t have the book you are after, they can still order it for you, and you won’t have to pay for postage and packaging like you do for Amazon. There’s a points system too, which for regular customers could amount to real savings. There are actually two different cards which you can pick up with your first purchase. 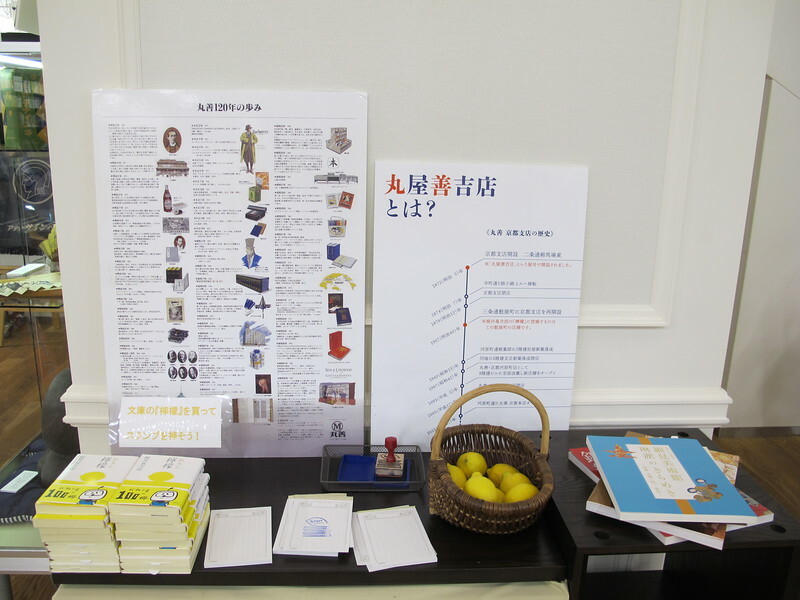 The Maruzen Point Card which covers foreign books and stationary, is easy to use. You just take one at the checkout and use it right away. It does not cover Japanese language textbooks though! For Japanese books and magazines you would need the Honto Point Card, but that requires filling out a bunch of information and registering it online. Obviously I went with the former. I’m very keen for this new Maruzen to succeed and plan to do a lot of shopping there! So does this bookstore have a good outlook? I sincerely hope so. 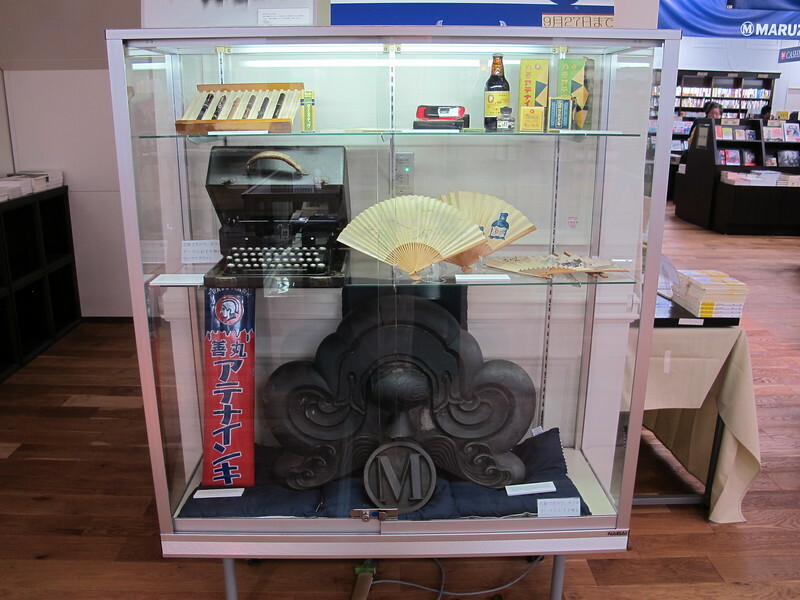 Maruzen in its early history was an innovator and had a reputation for introducing Japan to foreign trends and ideas, from encyclopedias in 1902, to Burberry raincoats in 1914, or keyboard calculators in 1918! I’d like to see Maruzen regain its historic role as a trendsetter by reinvigorating the book trade and making bookstores popular again!